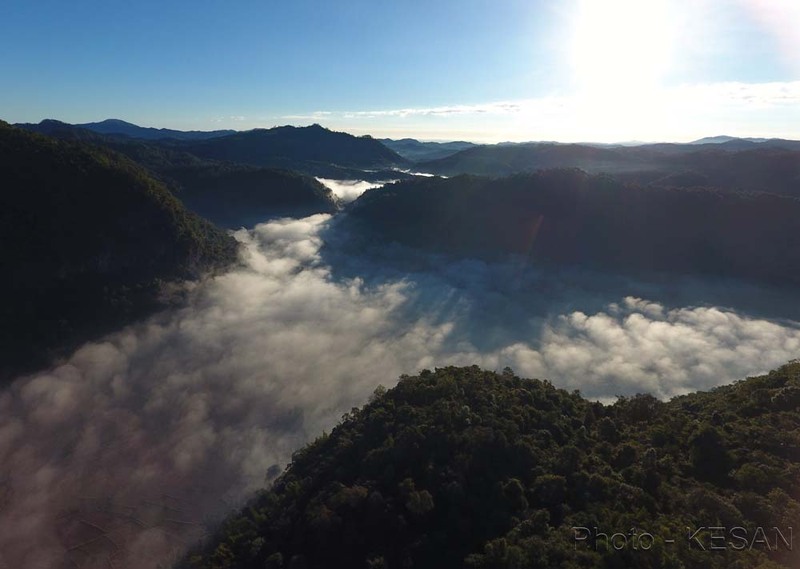 PAPUN DISTRICT, Karen State — A path has opened for environmental conservationists and rights advocates to strengthen their fight against gold mining and other socially and environmentally destructive projects in the rich forests of Karen State in eastern Burma: the Salween Peace Park. The 5,200-square-kilometer Peace Park is a radical initiative to create an indigenous-led sanctuary to protect indigenous cultural heritage and endangered wildlife. Located in the mountainous Mutraw (Hpapun) District, the Salween Peace Park will protect one of Southeast Asia’s last great natural landscapes and its rich biodiversity. “Large-scale gold mining is the opposite of the goals of the Salween Peace Park. It will cause destruction and land conflicts,” said Tee Nya Kyi, a community activist in Mutraw District, an area administered by the Karen National Union (KNU). The KNU has been a key partner in the Peace Park initiative. Citing heavy environmental impacts from existing gold mines in Karen State, as well as the goals of the Peace Park’s environmentally conscious development agenda, KNU district leaders withdrew approval for a proposed gold mine in December. Large-scale river dredging for gold is a highly polluting activity in Burma that many Karen leaders, villagers, and activists have long opposed. 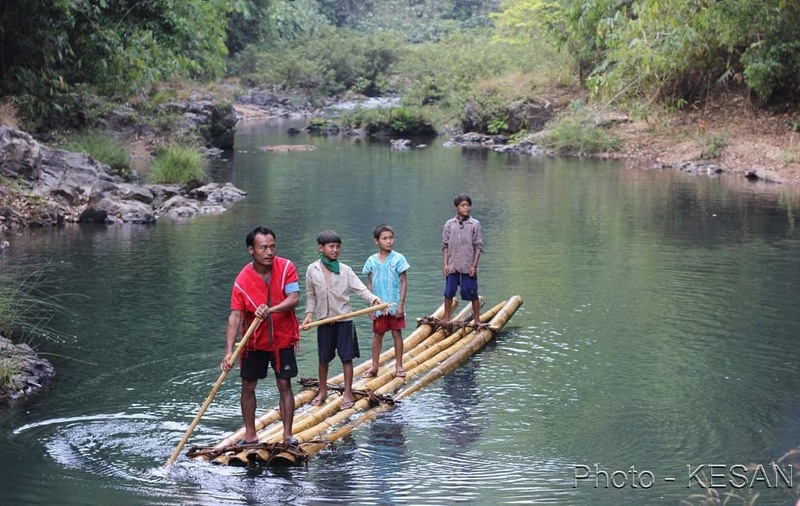 Resistance against destructive development and desire for peace after decades of civil war form the impetus to establish this innovative sanctuary to protect the people, land, culture, and wildlife of Karen State. The Salween Peace Park initiative is an ongoing, collective effort that involves many partners. More than 300 community representatives from 23 village tracts in the three townships of Mutraw District, the Mutraw Forestry Department, and the Karen Environmental and Social Action Network (KESAN)—one of Burma’s leading environmental organizations—have worked together for the past year and a half to realize this dream. The first public consultation and deliberation for the Peace Park initiative was held in May 2016. A second public referendum was held in Day Bu Noh village in Mutraw District from December 26-28, 2016. 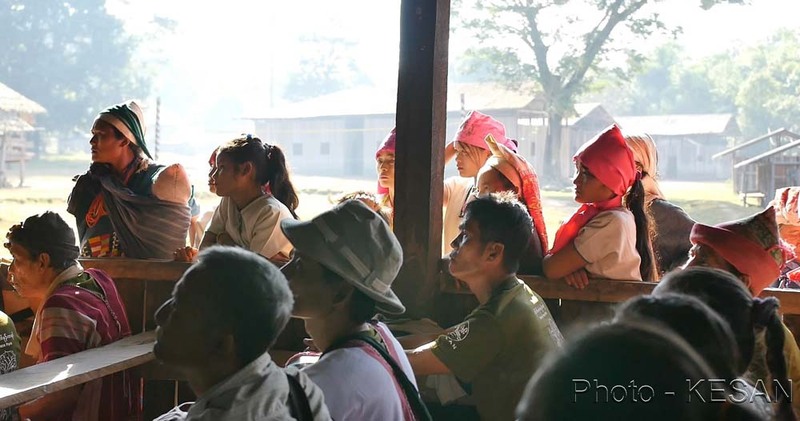 In a large, open-air meeting hall, a draft charter for the Salween Peace Park that enshrined the inalienable right to self-determination and local governance of indigenous Karen over their ancestral land, was completed and received wide community support. As the Peace Park is a dynamic and adaptive initiative that was created to respond to the needs of local communities, consultations will continue throughout 2017. For the people of Karen State, who have historically been denied the right to determine their own futures, the Salween Peace Park is a radical opportunity. For more than a half century, the remote and mountainous area comprising the Salween Peace Park has been illegally occupied and tyrannized by the Burma Army. To this day, the Burma Army maintains more than 300 military camps in Karen state – including 82 camps in Mutraw District. At present, a tenuous ceasefire signed in 2012 between the KNU and the Burmese Government still holds. The KNU is also a signatory to Burma’s nationwide ceasefire agreement and is a participant in national peace talks led by Burma’s de facto leader, Daw Aung San Suu Kyi. But the Karen people have been fighting for their freedom since 1947, and they warily watch as state-sponsored violence continuously unfolds in three of Burma’s ethnic states. In September, fighting broke out in Karen State between the Burma military and a Karen splinter group, almost drawing the Karen National Liberation Army (KNLA) into the fray and threatening the ceasefire. Karen leaders and villagers believe the fighting was part of a Burma Army strategy to secure the area for the planned Hatgyi hydropower dam on the Salween River. The Karen in Mutraw say they are not waiting for peace to be granted by Burma’s government or army. They are actively pursuing peace with the Salween Peace Park. The Salween Peace Park initiative is rooted in the recognition of the indigenous people of Burma as guardians of sacred lands, challenging the top-down development model, and promoting a locally-defined sustainable development agenda. In Mutraw, democracy is at work. The very process of establishing the Salween Peace Park fundamentally requires extensive community involvement, in order to ensure that the governance of the area will be equitable and sustainable. This is evident in the Peace Park consultations, which exhibit high levels of public participation and deliberation. The demarcation of the Salween Peace Park boundaries is a complex affair, with community members and KNU leaders drawing out a tapestry of customary land areas known as “Kaw,” as well as wildlife sanctuaries and community forests. It encompasses parts of three townships and has required careful negotiation and consensus. Most recently at the December 2016 consultations, the map was subject to further revisions. After rounds of spirited public deliberation, village representatives, KNU forestry officers and KESAN staff ultimately agreed to adjust the boundaries to include more land and a KNU-established forest reserve straddling two townships. The maps drawn up by central government ministries follow a very different process. The Burma Ministry of Mines (now a Department under the Ministry of Natural Resources and Environmental Conservation since reforms in 2016) had earlier created its own map of Mutraw District in secrecy, which slated large swathes of the area for massive mines and other extractive industries. Few members of the public in Mutraw have seen this map or even knows of its existence. In contrast, copies of the draft Peace Park map have been circulated among local communities since the idea was first introduced in 2016. “The long-term aim for the Salween Peace Park is to demonstrate what truly good governance could be for the Salween River Basin, and provide a people-centered alternative to the top-down, militarized development that has been pushed in the region by previous regimes,” said Sein Twa. One factor underlying the urgency of the Salween Peace Park initiative is the threat posed by a Thai and Chinese company-funded plan to dam the Salween River for the export of electricity and water to Thailand. The 1,365 megawatt Hatgyi dam, not yet under construction, would be built in southeast Mutraw, and would divert water from the Salween across the mountains into Thailand’s central valley. 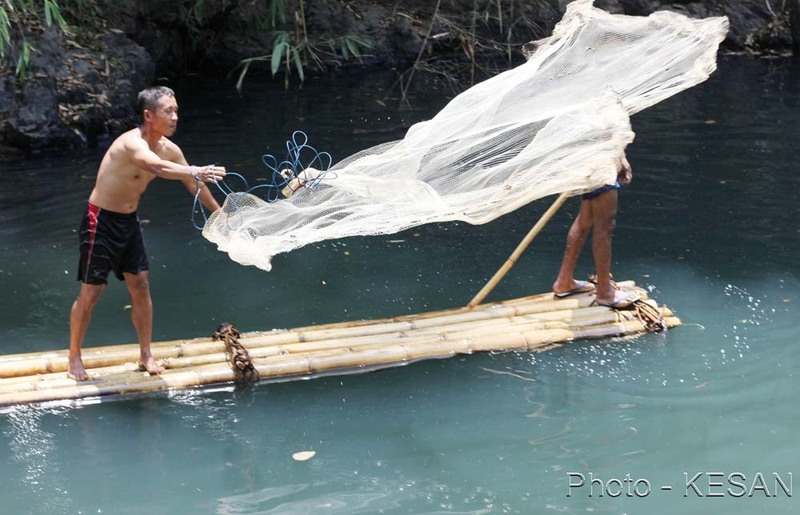 If plans were allowed to move forward, the dam would destroy downstream fisheries and riverside farming in Karen State, all the way to the river’s mouth at the Indian Ocean. It would also compromise the integrity of the KNU’s newly-established Mae Nyaw Kee wildlife sanctuary, which is home to tigers, black bears, gaur, and dozens of other endangered or threatened mammals. The dam proposal is a lightning rod for Karen resistance, and the Salween Peace Park represents a united front against the dam and other destructive projects pushed by the Burma government and multinational companies. “The Hatgyi dam is an audacious move by Thailand’s military government to essentially steal water from an international river,” said Jeff Rutherford, an environmental consultant who has studied the Salween River for more than a decade. The Hatgyi dam may be a major threat for the future, but it is the Burma Army that is the clear and present danger. Decades of aggression have pushed hundreds of thousands of Karen and other indigenous people from their homes into refugee camps in Thailand, and have scattered the Karen throughout their territory and even abroad. Upward of 50,000 Karen have settled in the United States alone in recent years. Though the 2012 ceasefire has opened more space for people to travel without fear of being attacked, and some are tentatively beginning to try to farm their occupied lands, not a single one of the more than 300 Burma Army camps in Karen State have been relocated. Nevertheless, people try to farm in the shadows of the men who killed their relatives and burned down their homes, less than a decade ago. “The presence of more than 60 government army camps in the proposed Peace Park area does prevent the displaced from returning to their original villages and farming their fertile land. Even after the KNU signed the national ceasefire, there has been no progress in terms of civilian protection in military designated areas,” said Sein Twa, whose family was forced out of their home by Burma Army soldiers more than three decades ago. He added, “People are always asking the KNU to tell the government troops to relocate away from their villages and farming areas,” but so far to no avail. For the Karen people of Mutraw, the Salween Peace Park is a culmination of years of work to demarcate communal lands, establish wildlife sanctuaries and document the continued existence of dozens of threatened animal species. It aims also to revive livelihoods shattered by civil war and champion best practices in sustainable development.